I have received many messages from excited blog readers and MM list friends sending me links to different news reports on a recent study showing that curcumin kills esophageal cancer cells. Yep, I checked, the news that there is a new executioner in Cancer City is all over Internet. Well, that should really come as no surprise to us, since for the past couple of years I have reported the same exact thing right here, based on what I have read over and over (and over!) in countless in vitro and in vivo scientific studies published in illustrious cancer journals. All of these studies show that curcumin kills different types of cancer cells…not just esophageal, but also myeloma, prostate (etc. etc. etc.) cells. I say, this should be a good lesson for researchers. I mean, just check out the title given to one of the key studies on curcumin and myeloma (=published in “Blood” in 2003): “Curcumin (diferuloylmethane) down-regulates the constitutive activation of nuclear factor-kB and IkBa kinase in human multiple myeloma cells, leading to suppression of proliferation and induction of apoptosis.” Helloo? Only scientists could possibly understand it. The rest of us are thinking: “Down-regulates the whaaat?? ?”…“Induction of apotptotpoopywhaaat”? Just for the fun (?) of it, let’s have a quick look at “apoptosis,” which means “programmed cell death.” This is actually a normal cellular process: cells are born, live for a while, do what they are supposed to do, then begin shrinking and eventually break up into fragments and die. There are a lot of videos online that show the process in a fun cartoon-like way, such as this one: http://tinyurl.com/cvtwjf (don’t miss the creepy sound effects!). But the normal apoptotic process doesn’t apply to cancer cells. Cancer cells are able to mutate and protect themselves from death in various ways. First of all, they blatantly ignore the normal cellular signals telling them, “okay tough guys, party’s over, time to die now.” Cancer cells thumb their noses at these signals and continue to grow, proliferate and do their pesky deeds…in fact, in the case of myeloma, they even recruit the body’s own immune system cells (specifically, plasmacy toid dendritic cells) for protection (see my October 6 2009 post, or read this: http://tinyurl.com/ye6d5bu). 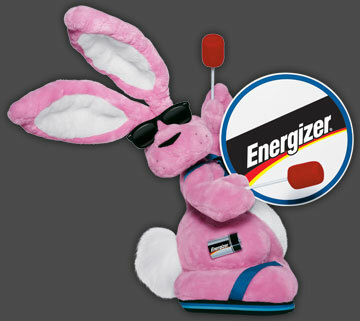 They are sort of like that rather annoying Energizer bunny (il coniglietto Duracell in Italy), always on the go, go, go. Conventional medicine uses harmful chemicals and radiation to stop the partying of cancer cells. But with most cancers, not just myeloma, that is not enough. Cancer cells eventually become resistant to these chemical attacks, with obvious consequences. And let’s not forget that our healthy cells are also affected in terrible ways by chemotherapy: some never recover. Clearly, new strategies are needed. And, in my amateur opinion, these should, indeed must!! !, include non-toxic compounds that are able to: 1. protect our healthy cells from the toxic effects of chemotherapy and 2. increase the murderous anti-cancer effect of chemo drugs. There currently are a few clinical trials testing these chemo-compound combinations. It’s a start, but it’s hardly enough. Well, this weekend is a busy one (in a good sense, eh!). I am switching off the computer. Have a good one, everybody! I just finished reading a very technical study on a fascinating but VERY complex topic. When I saw that the study was only eleven pages long, I figured, “hey, no problem, I will have a first draft within the hour and publish the final version on the blog later today.” Uhmmm…that was three days ago! True, I have had plenty of other stuff to do (a translation for work and whatnot), but this particular study is a whopping headache-causer! Ever heard of “mitotic catastrophe”? Thought not. Well, my main problem right now is trying to toss the overly technical stuff that we do not need to know AND write the rest in a simple, intelligible way…easier said than done. In the meantime, I thought I would publish a quick update on saw palmetto, or Serenoa repens, the anti-myeloma, non toxic substance that I am testing right at the moment (see my saw palmetto Page for more information). Things are going very well, and I have no ill effects to report…but I have noticed a rather peculiar phenomenon: my hair seems to be growing like mad! I mean, this is ridiculous. Out of curiosity, this morning I looked up saw palmetto and discovered that it is given as a treatment for male baldness. Aha! Well, before beginning this experiment, I suppose I had ignored this, er, hairy side effect because: 1. I am not a “male,” and 2. I am the complete opposite of “bald” (I have always had very thick wavy hair). Too bad, or I might have taken “before” and “after” photos of my bushy, now bushier!, head of hair to publish on the blog. Too late now…you will just have to take my word for it. I think of the Cat Man Do video every time my boy Piccolo (who weighs at least 8 kilos) walks on my head in the early morning…that’s his not-so-subtle way of letting me know that I need to get up quickly and give him his breakfast…or else! Lovely day in Florence today. I did some laundry, finished part of a translation that is due tomorrow, enjoyed the sun a bit (trying to soak in some vitamin D!) and took a photo from our attic window that I then posted as my current blog banner. It turned out a bit dark because of t he rather blinding afternoon sun, I think (see how light it is on the left side of the photo)…I could have fixed it on the computer, but…I didn’t. You can still see how the leaves are changing colour. Fall has arrived in Firenze! Seriously now, whenever you have a bit of free time, exactly 3 minutes and 39 seconds!, check out this really neat, well-made cartoon video depiction of what happens when someone who has the flu sneezes near you: http://tinyurl.com/yjpty3m No, I promise, the cartoon is not gross at all…on the contrary, it is absolutely fascinating! By the way, Fanatic Cook is one of my favourite bloggers. I link to her blog…scroll down my Pages to “Useful food/spice-related links”….which is not at all an appropriate heading, come to think of it, since she doesn’t just post about food but treats a huge variety of topics, from vitamin D to genetically modified organisms and cancer… Check out her archives when you have some free time…good stuff! Now that I have decided not to have the H1N1 vaccination, I am looking around for natural ways to protect myself and my family. One very very promising substance appears to be elderberry (Sambucus nigra). It’s the same old tune: this plant has been used for ages in folk medicine to treat flu, colds and sinusitis. If you look it up on Wikipedia, you will find that it was shown to be effective for treating Influenza B. People using the elderberry extract recovered much faster than those only on a placebo. This is partially due to the fact that Elderberry inhibits neuraminidase, the enzyme used by the virus to spread infection to host cells. Well, lo and behold, a July 2009 study showed that it was also effective against the horrid H1N1 virus in vitro: http://tinyurl.com/yh7gzef The elderberry extract blocked host cell entry and/or recognition. And read this: The H1N1 inhibition activities of the elderberry flavonoids compare favorably to the known anti-influenza activities of Oseltamivir (Tamiflu; 0.32 microM) and Amantadine (27 microM). Aha! Here is a Medical News report about the above-mentioned study: http://tinyurl.com/nuumwe An excerpt: The research results are notable not only because they identified and characterized two specific flavonoids (plant nutrients that are beneficial to health) that are the major contributors to the anti-influenza activity of the elderberry extract, but also verified how the flavonoids provide that benefit, via direct binding to H1N1 virus particles and blocking the virus from infecting host cells. This is nothing new, incidentally. I found a 1995 (!) study in PubMed, showing that a standardized elderberry extract, Sambucol (SAM), blocked the replication of human influenza viruses of various types, both A and B (the complete list can be found in the abstract: http://tinyurl.com/yhalylh). This extract was tested on a group of influenza B sufferers in 1993: A significant improvement of the symptoms, including fever, was seen in 93.3% of the cases in the SAM-treated group within 2 days, whereas in the control group 91.7% of the patients showed an improvement within 6 days. The abstract concludes: Considering the efficacy of the extract in vitro on all strains of influenza virus tested, the clinical results, its low cost, and absence of side-effects, this preparation could offer a possibility for safe treatment for influenza A and B. And there is more: during the 1999-2000 flu season in Norway a study was carried out on 60 patients between the age of 18 and 54 with respiratory influenza symptoms. The full study is available online: http://tinyurl.com/d2sjl4 and is a good one to read, since it shows the efficacy of elderberry against influenza A and provides doses: Patients received 15 ml of elderberry or placebo syrup four times a day for 5 days […] during meals. The study concludes: In view of its in vitro and in vivo efficacy on influenza A and B viruses, elderberry extract offers an efficient, safe and cost-effective supplement to the present armamentarium of medications for the prophylaxis and treatment of influenza. It should be stressed that our study involved only adult influenza patients who were otherwise healthy, and did not include any high-risk patients. I also found a study on the H1N1 virus and a resveratrol tetramer called “(+)-vitisin A,” isolated from the roots of Vitis vinifera: http://tinyurl.com/ykhlmv8 The abstract concludes that: (+)-vitisin A might be a potent anti-inflammatory agent that inhibits influenza A virus-induced RANTES production by interfering with Akt- and STAT (1)-related signal pathways. Might be. 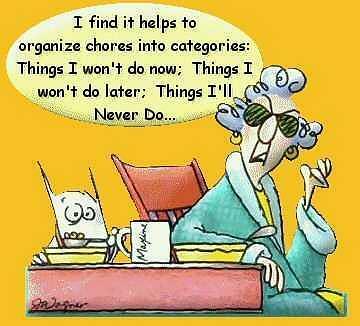 Well, I suppose a glass of red wine now and again wouldn’t hurt! And how about tea tree oil? See this September 2009 study: http://tinyurl.com/yfmtmo7 A group of Italian researchers found tea tree oil to be effective against influenza A, subtype H1N1, at doses below the cytotoxic dose. They conclude that this essential oil should be a promising drug in the treatment of influenza virus infection. Interesting. There was also quite a lively discussion on the usefulness of PET-CT scans. Actually, I was the one to begin that discussion, based on a question that a friend of mine, who was not able to attend the meeting, had asked me to ask on his behalf. Dr. Durie said that PET can help us determine if the myeloma has become active, for example in the case of a sudden paraprotein increase. It follows that this test can be useful for those who are smoldering. I have to say, though, that I will NOT have radioactive sugar injected into my veins unless I really really REALLY have to! This is another item that I have added to the list of questions for my haematologist. All in all, this was an interesting seminar, and I learned a few useful things, such as the serum iron/ferritin thingy. I also had the wonderful opportunity to speak privately with Dr. Brian Durie and Susie Novis and, separately, with Greg Brozeit, the director of IMF Europe. Dr. Durie wasn’t surprised to learn that curcumin has kept me stable now for the past four years. He told me, in fact, that a “subset of smoldering patients” does very well on curcumin. Indeed. One of my favourite moments: in response to a patient’s question, Dr. Durie joked that “this just goes to show that myeloma treatment is an Art, not a Science…so you should be very good at this in Florence!” Chuckle, chuckle! There weren’t very many people at the seminar yesterday, but that was a good thing, as Susie Novis, president of the International Myeloma Foundation, pointed out, in the sense that we had more time to ask questions and didn’t have to “compete” with 1000 other patients/family members. Dr. Durie is a first-rate public speaker, in my opinion. His presentation, titled “Myeloma 101,” was clear and easy to follow. I took copious notes, out of which I will choose what were the most significant topics, in my opinion. Today’s post turned out to be way too long, so I will publish Part 2 tomorrow. I was particularly intrigued by something that came up while Dr. Durie was listing a few of the tests that can help determine if myeloma has become active or not. He mentioned the importance of monitoring our serum iron and ferritin (=iron stores) levels, which came as news to me. He explained that, when myeloma becomes active, our bone marrow stops producing red cells, which is why our haemoglobin decreases and we risk becoming anaemic (after all, “Anaemia” is the “A” in the “CRAB” acronym). At that point, he said, the unused iron begins accumulating in the body. So a sign of active disease could be an increase in iron and ferritin levels. Well, knock me down with a cat hair…I will never again whine about having low serum iron and ferritin (actually, my most recent tests show that they are both at the lower end of the normal range…which is fine with me now!)! Spiritual health –> Find your own way –> Achieve balance –> Live in the moment –> Create new plans –> Expect good results! He then showed a slide on Randy Pausch, a well-known computer scientist who died of pancreatic cancer in July 2008. On September 5th 2008, I wrote a post about Prof. Pausch, see http://tinyurl.com/yfg3t3l If you haven’t seen his “Last Lecture, well, go have a look when you have a second. Another point: according to Dr. Durie, the H1N1 vaccine is not as effective in MM patients as in healthy folks. He did say that it might be a good idea for our caregivers to have the vaccination, though. Well, what Dr. Durie told us yesterday made it easier for me to make a final decision on the “to vaccinate or not to vaccinate?” topic. My GP has already put me and Stefano on his H1N1 vaccine list, but I will ask him to remove our names. Stefano and I are both scheduled to have the usual, yearly flu shot, oh, and by the way, we always get the no-mercury vaccine (please make sure that you do, too! Our vaccines should be the thimerosal-free ones). But no, we won’t have the H1N1 vaccine. We will try to avoid crowds as much as possible (ah, you should see me zoooom through the supermarket these days…as fast as a puffin with a beakful of sand eels, whizzzzzing through the air…and if I hear someone cough in the immediate vicinity, I am out of there faster than you can say “ashwagandha”!) and take the usual precautions that I have written about so many times. Okay, that’s plenty for today. The rest…tomorrow! A blog reader/friend (thanks!) sent me this amusing list today. Some of the items seem too good to be true but, regardless, they gave me a good chuckle, and that is what is important. So…enjoy!!! · A guest at a Novotel in Australia complained his soup was too thick and strong. He was inadvertently slurping the gravy at the time. This may lead to nothing in the end…but what a peculiar thing, no?